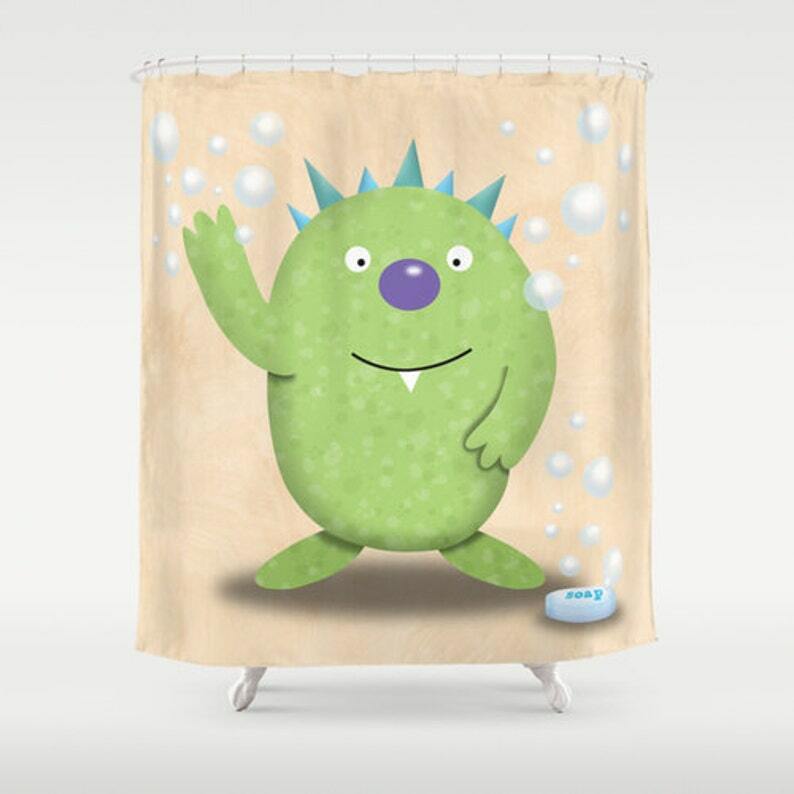 Brighten up your little one's bathroom with this happy, friendly monster shower curtain! The Monster Shower Curtain is made from 100% polyester and features a 12 button-hole top for simple hanging. The easy care material allows for machine wash and dry maintenance. **Curtain rod, shower curtain liner and hooks not included. **Please note that this item is MADE TO ORDER and ships within 2-4 weeks from my partnered manufacturer in the US. They use high quality fabrics and inks to create shower curtains with my original ©Kranky Krab illustrations. © all images are copyright to Kranky Krab. Purchase does not transfer reproduction rights.